The Ropka industrial zone is situated on the south part of Tartu, the second largest city of Estonia (pop 103,284). The centre of the BIZ is approximately 5 kilometres from the town centre and Annelinna, the district where approximately 30% of Tartu’s inhabitants live. The general plan for the BIZ was made in the 80’s. The city of Tartu has a comprehensive urban plan which also includes the Ropka BIZ, which is expanding. Detailed plans are required for every new development in the BIZ, which have to be approved by the city government. Ropka hosts different types of companies including commercial, services, productive and warehousing activities. Most of the companies are small or medium size enterprises with less than 100 employees and the majority of them has around 10-30 employees. The majority of the employees working at the BIZ live in Tartu, however, employees also commute from other municipalities too. 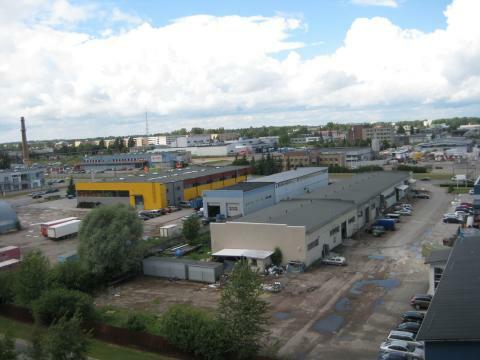 The Ropka Industrial Park does not have a specific management organization or association. Plots and building owners develop and manage their property and the Municipality of Tartu determines the regulations and plans for the BIZ, however, there isn’t a body directly responsible for its management.